NEW YORK (CNNMoney) -- In a scolding letter sent to Google on Monday, European regulators outlined their "concerns" about Google's business practices, giving the search giant "a matter of weeks" to shape up or pay up. The European Commission said it had reached preliminary conclusions based on its 18-month antitrust investigation of Google. It found four ways in which Google potentially violates anti-monopoly laws in the region. Google (GOOG, Fortune 500) displays links to its own "vertical search services" differently than it does for links to competitors, the letter said. The commission said it is concerned that Google may be giving its own services preferential treatment over rivals'. Though the letter did not outline specifics, such Google services include local reviews, shopping listings and flight schedules among others, which sometimes compete with companies like Yelp (YELP), Amazon (AMZN, Fortune 500), Priceline (PCLN) and Expedia (EXPE). The commission also said it is concerned with how Google scrapes content from the Internet to post within some of its own search verticals, including reviews from across the Web. Though it's a common practice among search engines, the commission is worried that it may harm innovation by "appropriating the benefits of the investments of competitors." The third and fourth issues focus on Google's advertising business. The commission found that Google enters into quasi-exclusivity agreements with partner sites that display Google advertising, which could hinder competition. The letter also said that Google makes it difficult for AdWords customers to port their ad campaigns to rival services, such as those from chief competitors Yahoo (YHOO, Fortune 500), AOL (AOL) and Microsoft (MSFT, Fortune 500). A Google spokesman said the company has only just started looking through the commission's letter. "We disagree with the conclusions but we're happy to discuss any concerns they might have," the company said. "Competition on the Web has increased dramatically in the last two years since the commission started looking at this, and the competitive pressures Google faces are tremendous." Since the European Commission first began its probe in November 2010, several companies have filed complaints against Google, most notably Microsoft and Expedia. Microsoft operates the second-place Bing search engine, which trails Google by a long shot in the United States and by even more in Europe. The letter was sent ahead of any official complaint or ruling because Google had urged the commission to discuss the results with it ahead of time. Google said it is interested in potentially reaching a settlement. "This is why I am today giving Google an opportunity to offer remedies to address the concerns we have already identified," wrote Joaquín Almunia, head of the European Commission's competition committee. He said he is eager to reach a swift conclusion to the matter. "If Google comes up with an outline of remedies which are capable of addressing our concerns, I will instruct my staff to initiate the discussions in order to finalize a remedies package," he continued. "I hope that Google seizes this opportunity to swiftly resolve our concerns, for the benefit of competition and innovation in the sector." Almunia sent the letter to Google Chairman Eric Schmidt and gave the company "a matter of weeks" to address each of the commission's concerns with "first proposals of remedies." 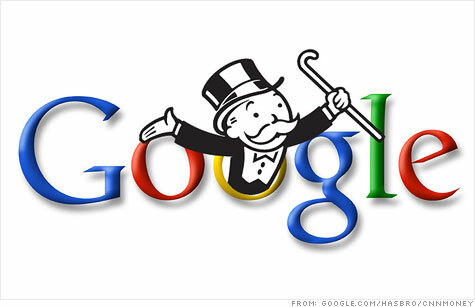 Google faces a similar antitrust probe in the United States from the Federal Trade Commission.